Those three little acronyms have plagued and burdened even the best social media marketers for years. How can you quantify the exact success of what we do? I know it sounds challenging but it really isn’t. Over the past decade, social media has cemented itself as a legitimate business marketing channel and with it comes a breadth of tools, analytics features, and KPI tracking that allows companies and marketers to quantify their social efforts. So, how can you prove your social media efforts are contributing to the bottom line? This article will show you how to track and measure your social media ROI in 3 simple steps. What is Social Media ROI and How is it Calculated? This is only one of the many reasons why you should track your social media’s ROI. ROI is your “return on investment”. Companies spend time, money, and valuable resources on social media, so naturally, they want to know what they’re getting out of it. In order to properly quantify your social media ROI, you first need to define what is most valuable to you. There are many tangible ways of quantifying ROI such as measuring the success of social campaigns which lead to business-driven results. These types of metrics can be broken down into dollars and cents. For example, you spent $500 on a Facebook ad campaign and generated $2,000 in sales. Your profit here is $1,500 (revenue - investment = profit) and your ROI can be calculated as $1,500 profit/ $500 investment x 100 = 300%. A 300% return on investment is pretty darn good! However, there are other benefits such as brand awareness and engagement that can’t be given a monetary value to. Instead, we measure our return with engagement metrics, impressions, and social shares. The first step is to understand why your business needs social media and to define your social media objectives. What’s important to you? Whether it’s generating new business, growing your brand, networking with influencers, or simply a way to better connect and engage with your followers, write them down and share them with your team so everyone is aligned. Of course, intelligence goes a long way in business, but here we’re not talking about “smart” in the traditional sense of the word. Your goals need to be S.M.A.R.T. With every goal you set, you need to make sure you can measure it. What tools are out there that can help you track and measure your goals’ KPIs? We will cover a few great options in the next section. No one likes to overpromise and underdeliver. Set goals that are realistic. Do you really think you can grow your Instagram followers by 30% by December? If you have current analytics in place, take a look at your history to discover your previous growth rate and make a fair assessment. Don’t put goals in place that aren’t attainable. Your social media objectives should always relate to your company’s overall marketing strategy. Give yourself a start and end point. Having a deadline keeps you focused, on track, and sets a benchmark from which to measure your ROI. You’ve defined your goals and set benchmarks, now it’s time to start measuring them. We will look at a few different types of the most important metrics and tools to help you measure them. In social media marketing, vanity metrics are measured in things like followers, page views, and subscribers. They are called “vanity” metrics because even though they are extremely helpful and interesting for marketers, they don’t necessarily translate into the bottom line business objectives. As mentioned above, these metrics aren’t always measured in dollars and cents but are extremely valuable for evaluating your social media performance. Anyone can quickly browse or view your content but who’s actually engaging with it? Engagement metrics give you insight into how people are interacting with your social content. For example, Facebook provides a free analytics feature called FacebookInsights where you can track which posts generate the highest level of engagement such as comments and shares. This type of information can help you discover what your audience is most interested in so you can continue to replicate it, focusing your efforts on higher value related content. How far is your message going? Measuring reach is important as it gives you an idea of how many people your content is getting in front of. However, it isn’t a metric you want to solely focus on as it only shows how many people potentially saw your content not necessarily those who interacted with it. Barkbox, an online retailer of doggie goodie bags used Mother’s Day in 2018 to capture Millennials’ interest appealing to the idea of “dog mothers”. 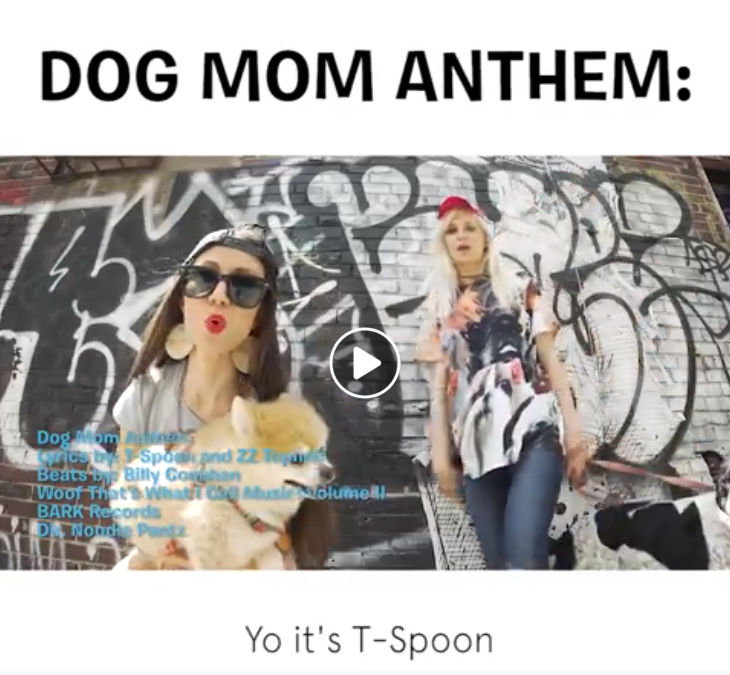 They created a “Dog Mom Anthem” video which went viral on social media and received 60,000,000 views and 824,000 shares. If Barkbox’s goal was generating brand awareness or appealing to a new audience, then those metrics would be a key indicator of success. That’s why setting goals and understanding what you’re trying to achieve with your social media efforts is important. A great tool for managing your social media is Buffer. Not only does it allow you to schedule and implement posts on your behalf, but provides valuable insights and analysis on your social media performance. Buffer Analyze allows you track your content and helps determine which performs best. Although a bit pricier than Buffer, Hootsuite is another fantastic social media management tool that automatically schedules your posts and provides some solid analytics tracking. In some of their plans, they offer customized reporting so you can pinpoint detailed analytics. They also offer team metrics which allow you to monitor response time and your team’s interactions. While watching your social media following grow is exciting, we still need to answer that nagging question “what are we getting out of it?”. How can we monetize our social efforts? All of your social media efforts can be translated into direct business results using Google Analytics. 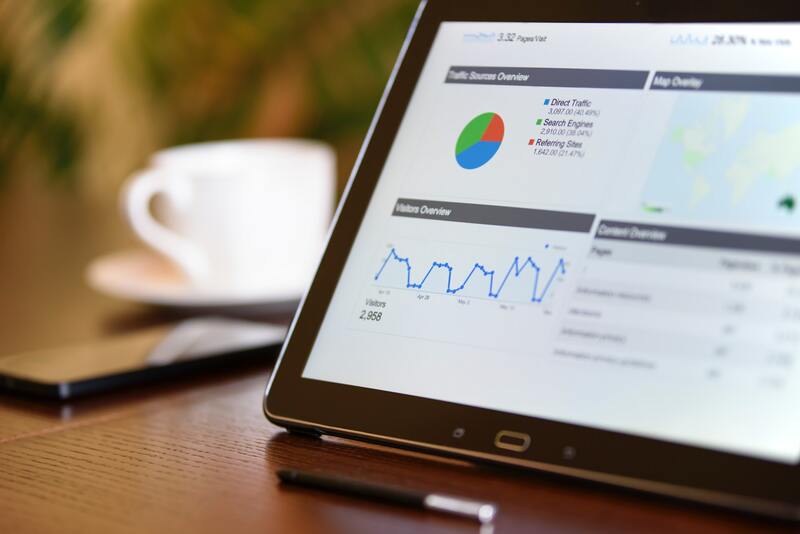 With Google Analytics you can see which social media channels are driving the most traffic to your website, track conversions and leads, and monitor specific goals. You can view which social media sources are driving the most traffic to your site by accessing the Acquisition report in the Analytics dashboard. From Acquisition click Source/Medium to view all of the different source channels. Below you can see an example of the top 10 results from the Google’s Demo account which include some referrals from Youtube and Facebook. Across the page you can get more detailed information broken down into Acquisition metrics (users, new users, sessions), Behavior (bounce rates, average session durations), and Conversions. The metrics give you a greater insight into how valuable the traffic is that you’re generating from social media. By setting goals in Analytics, you can directly track which social platforms are resulting in ROI specific metrics. Business Goals can be anything from email registrations to completed purchases. 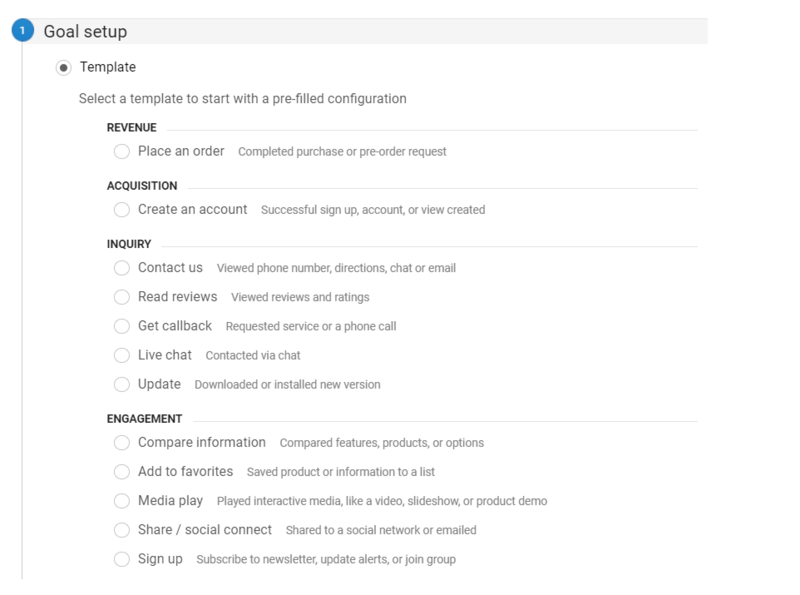 The image below shows an example of some different types of goals you can add in Google Analytics. 1.Log into your Google Analytics Dashboard and click on “Admin” in the bottom left-hand corner and then click on the “Goals” tab. 3.Now you can enter in your goal type along with its details. Once completed, be sure to “save” your goal. Now you’re ready to start tracking! A great example of how a company increased and tracked sales through social media is Wayfair. Wayfair, an affordable online home goods retailer had great success converting pinners into customers by hosting a Thanksgiving contest for their Pinterest followers back in 2016. 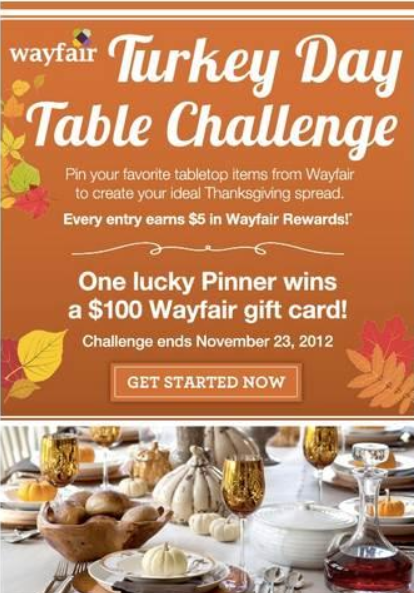 The campaign was to create a Thanksgiving table board and repin at least 5 pins from Wayfair to showcase the pinner’s ideal Thanksgiving spread. The winner received a $100 Wayfair gift card. The Thanksgiving contest resulted in a 5x increase in sales, a 60% increase in web traffic and an 89% page view increase. Wayfair did a great job with their campaign, and setting up goals and tracking them allowed them to see exactly how successful their social media efforts were in generating business. So now that we’ve covered setting up and establishing your goals and tracking your performance, all that’s left to do is calculate your investment. There are 3 major expenses in social media. If you’ve decided to use a social media management tool like Buffer or Hootsuite, that monthly subscription cost should be factored into your investment. If you’re calculating your ROI monthly, then your tools cost will be divided by 12. Social media management is time-consuming. Hourly or monthly rates for hiring a social media marketing manager or consultant should also be factored into your ROI. Paid ads and running social campaigns on platforms like Facebook and Instagram can generate more revenue but the cost of these ads should be deducted from your profit. Now it’s time to show off your results. Here are some tips on how to present your social media ROI. Before you start diving into the hard numbers, it’s always a good idea to provide an overview of your goals and why they’re important. Why was your goal for the last quarter to drive brand awareness? Why is brand awareness important to us? This should be a segway into why you’ve chosen the specific metrics you’re about to present (i.e. engagement, views, reach, new subscribers, etc). 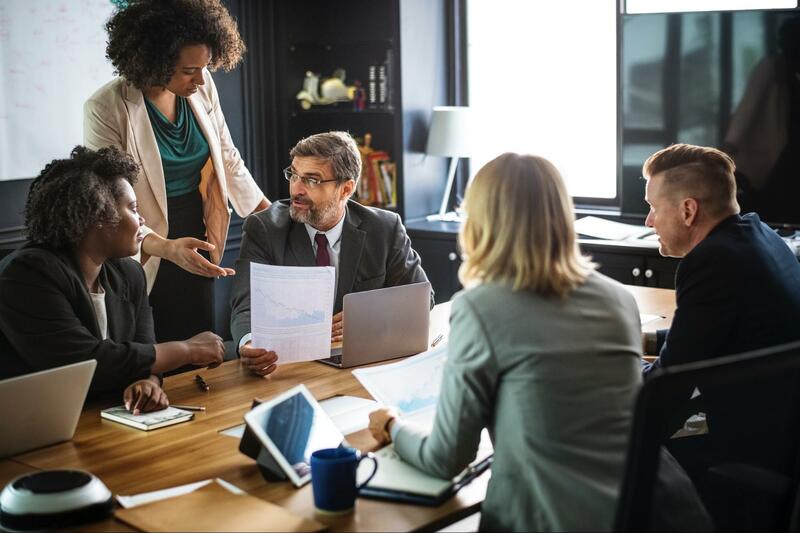 Many times the people we are presenting to won’t understand all of the facts and figures in relation to social media and what it means for the company. Your job here is to use those hard numbers as imagery in a story you’re going to tell. If the bounce rate of your traffic from social media sources is 20% lower than other traffic sources maybe that means you’ve done a really great job boosting engagement through social and people are staying on your webpages longer. Lower bounce rates contribute to higher ranking factors on Google. A story like this paints a great picture of why what you’re doing is important. Most companies want to understand how all of this translates into business. Dig into Google Analytics and take a look at the traffic, goals, and conversion metrics. What’s improving or what needs improvement? How much are all of these digital efforts affecting growth? Your presentation should always end with your next steps. Sometimes we don’t always have amazing numbers to show. Maybe there was a decline in traffic or we didn’t hit our growth goal this month. What strategies can you put in place to improve your results? Don’t be afraid to iterate and modify your strategy as well as your metrics if needed. As social media marketers ourselves, we know how hard you work which is why it’s important that we can qualify what we do to not only prove we are contributing to the bottom line but to establish our own individual success in what we do. Do you have any social media ROI success stories? Feel free to share in the comments below!